1. 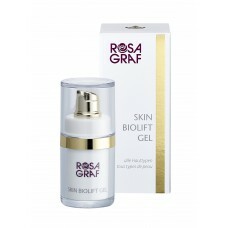 Skin Biolift Gel (15ml) gives skin an instantly smoother appearance and effectively minimizes the look of large pores when used regularly. With Paracress Extract (Acmella Olearacea) – an ancient medicinal plant from South America, Hyaluronic Acid and powerful botanicals rich in antioxidants and moisturizing complex. 2. 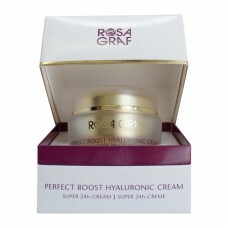 Perfect Boost Hyaluronic Acid Cream (30ml) 24H intensive anti-aging cream for all skin types with a different combination of Hyaluronic Acid and wrinkle-smoothing peptides. Enhances skin’s elasticity and moisture content, instantly makes skin appears smooth, supple and with healthy glow complexion. 3. 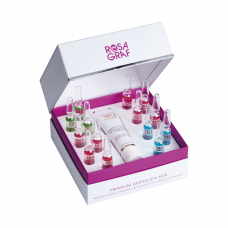 Ampoule Hyaluronic Acid (2x2ml) newest generation of Hyaluronic Acid (low- and high-molecular- weight) and wrinkle-smoothing peptides. 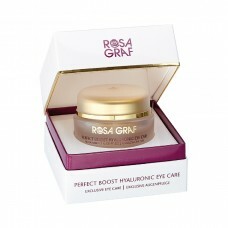 Visibly tightens the skin.